With a busy manifest next year stacked with up to 10 launches for NASA and commercial customers, SpaceX is targeting Jan. 3 to launch the Thaicom 6 telecommunications satellite from Cape Canaveral. Built by Orbital Sciences Corp. Thaicom 6 will beam Ku-band and C-band services to clients across Southeast Asia, the Middle East and Africa. The satellite is designed for a 15-year mission in geostationary orbit over the equator at 78.5 degrees east longitude. The launch of Thaicom 6 on a Falcon 9 rocket is set for Jan. 3 at 5:57 p.m. EST (2257 GMT), according to SpaceX and the U.S. Air Force, which runs a network of tracking, communications and safety assets supporting all launches from Cape Canaveral. The launch window extends for 86 minutes. It will be the second Falcon 9 launch in a month, following a successful mission to deliver the SES 8 television broadcasting satellite to orbit Dec. 3. Thaicom 6 was mired behind the launch of SES 8, which was delayed nearly one year as SpaceX completed development of its next-generation Falcon 9 rocket. The upgraded Falcon 9, known as the Falcon 9 v1.1, uses upgraded Merlin 1D engines configured in a circular arrangement dubbed the "octaweb" and employs larger propellant tanks and more redundant avionics systems. Engineers are readying SpaceX's Complex 40 launch pad for a quick turnaround. If the mission lifts off as scheduled Jan. 3, it would mark the fastest turnaround of a launch pad at Cape Canaveral since 1999, when Delta 2 rockets were in the midst of launching a constellation of communications satellites for Globalstar. Technicians are preparing the Thaicom 6 spacecraft for launch in a clean room adjacent to the Falcon 9 rocket's assembly hall. 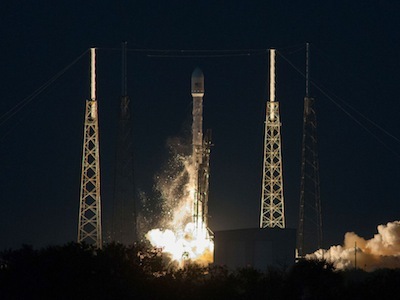 Based in the Bangkok metropolitan region, Thaicom booked the launch with SpaceX in June 2011, becoming the second geostationary satellite operator to reserve a Falcon launch. SES of Luxembourg, the world's second-largest commercial telecom satellite operator, announced the contract for SES 8's launch March 2011. When Thaicom announced Thaicom 6 in 2011, officials said the project was a $160 million investment for the company, including the spacecraft, launch services and insurance. Thaicom 6's operator says it has sold more than 60 percent of the satellite's capacity, as of the end of September. The successful Dec. 3 launch of the SES 8 spacecraft demonstrated SpaceX could loft payloads into high-altitude orbits used by most communications satellites. The flight propelled SES 8 to an altitude of more than 50,000 miles, requiring an in-flight restart of the rocket's Merlin 1D upper stage engine. After a failed attempt to reignite the upper stage engine on a demonstration launch in September, SpaceX added insulation to the engine's igniter fluid lines to prevent them from freezing, a phenomenon on which engineers blamed the restart anomaly in September. SpaceX will launch up to three resupply missions from Florida to the International Space Station using the company's Dragon cargo spacecraft. The flights would mark the third, fourth and fifth operational logistics launches under a 12-flight, $1.6 billion contract with NASA. Two Falcon 9 launches are planned from Cape Canaveral with a total of 17 small second-generation data relay satellites for Orbcomm. A pair of Falcon 9 rockets will launch from Cape Canaveral with the AsiaSat 6 and AsiaSat 8 communications satellites for AsiaSat of Hong Kong. Turkmenistan's first satellite, Turkmensat 1, will launch from Florida in late 2014 on a Falcon 9 rocket. The satellite is part of Turkmenistan's National System of Satellite Communications and was originally contracted to launch on a Chinese Long March rocket before SpaceX scored the launch in June 2013. The first test flight of SpaceX's Falcon Heavy rocket is scheduled to launch in 2014 from Vandenberg Air Force Base in California. The Falcon Heavy is powered by 28 engines, with 27 of the Merlin powerplants designed to ignite on the launch pad. SpaceX says it can loft up to 53,000 kilograms, or nearly 117,000 pounds, to low Earth orbit. Two critical tests for SpaceX's efforts to develop a crewed version of the Dragon spacecraft are on tap for 2014. One of the tests will simulate an aborted liftoff from the launch pad, with the Dragon's pusher escape thrusters taking the capsule away from a failing launch vehicle. Another demonstration, currently set for mid-2014, will test the Dragon's ability to escape its booster at the point of maximum aerodynamic stress about a minute after launching on a Falcon 9 rocket. 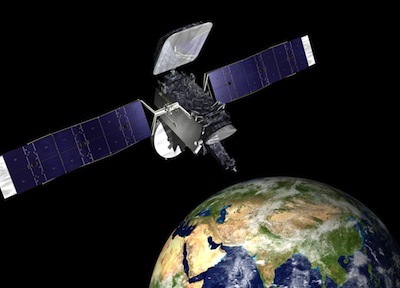 The SAOCOM 1A radar observation satellite is scheduled to launch in late 2014 or early 2015 on a Falcon 9 rocket from California.